Equipment financing lets you finance up to 100% of the cost of new or used equipment for your business, such as ovens for a restaurant, machinery or company cars. You’ll want to compare your equipment loan options and find the most cost-effective way to finance the purchase. In most cases, your decision will depend on your business needs, your budget and the state of your personal and business finances. Here’s a look at some equipment financing options. With equipment financing, the loan amount you qualify for depends on the value of the equipment you are purchasing. The equipment also serves as collateral for the loan, so the lender can seize it if you fail to repay the loan. Traditional banks typically offer the most favorable interest rates and terms, but they have strict credit standards. Online small-business lenders are another equipment financing option, especially if you need to purchase equipment quickly or if your personal and business finances aren’t in excellent shape. The size of the loan should match the price of the equipment you’re purchasing, while the loan term should match how long you expect to use the new equipment. If you’re buying commercial ovens that you expect to use for five years, get a loan with a five-year term. A shorter term may have you scrambling to make payments, and a longer term means you’ll be paying off the equipment after you stop using it. An equipment loan is usually the financing option with the lowest interest rate. You’ll own the equipment outright. Once the loan is repaid, business owners who own equipment but need cash for other business purposes may opt to arrange a sale-and-leaseback agreement. This involves selling equipment to a lender in return for quick cash and then leasing it from that lender. At tax time, the interest you’ve paid is deductible, and you’ll also enjoy a depreciation tax benefit. If the financed equipment becomes outdated, you’ll need to sell or dispose of it. An equipment loan may require a high initial down payment. Currency is an online lending platform that mostly focuses on equipment loans, unlike other business lenders that provide general business financing. It provides higher financing amounts at lower rates than several other online lenders. Currency lends up to $2 million in equipment financing with annual percentage rates starting at 6%. It works with multiple lenders to provide quick approval and funding. Unlike other general business lenders, Currency works with the equipment vendor to disburse the payment and then services the loan. If you’re buying a piece of equipment that costs less than $50,000, StreetShares, OnDeck or Credibility Capital may be right for you. For a low-cost option: If your personal credit score starts at 600 and your business generates at least $75,000 in revenue, StreetShares offers loans with APRs starting at 9%. Equipment loans make up 25% of the lender’s financing, according to the company. If your credit score is low: OnDeck can be a smart option when your choices are limited because of wobbly finances or bad credit. The lender requires a minimum personal credit score of 500. 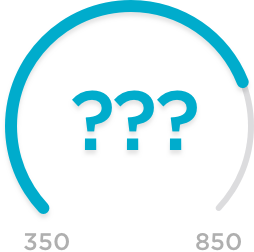 In return for speed and less stringent qualifications, an OnDeck loan costs more than a StreetShares loan. APR: 9.1% to 99.8% for term loans; 11% to 63.2% for lines of credit. For strong-credit borrowers: Credibility Capital offers short-term financing with competitive APRs ranging from 10% to 25%. Equipment loans make up about 20% of Credibility Capital’s lending. If the equipment you need costs $50,000 or more, such as specialized machinery for an auto repair shop or a construction company, go with financing that has a longer term and the lowest APR you can qualify for. Bank loans are typically your best bet, but strict requirements and long processing times may be obstacles. For fast SBA loans: SmartBiz offers U.S. Small Business Administration loans, which are generally the least expensive small-business financing available. With its online platform, SmartBiz typically can process applications in several weeks, compared with three months or longer at banks. For faster processing and higher loan amounts: Funding Circle is a good option if you don’t have time to wait for an SBA loan; on average, funding time is 10 days. Plus, the lender’s maximum loan amount is $500,000, compared with SmartBiz’s $350,000. Many vendors offer leasing as a financing alternative. Equipment leasing can help reduce costs and maximize an investment. For instance, a piece of equipment becomes less valuable and productive as it gets older, so leasing it for a limited time may be a smart move. Some financing companies also offer the option of buying the equipment at current market value. Leasing generally is more costly than buying if you end up using the equipment for a long time. According to the Equipment Leasing and Finance Association, leasing is “likely the preferable option” for equipment you plan to use for 36 months or less. If you’ll use it for longer, it makes more sense to buy. NerdWallet has created a comparison tool of the best small-business loans to meet your needs and goals. We gauged lender trustworthiness and user experience, among other factors, and arranged the lenders by categories that include your revenue and how long you’ve been in business.